Everest Mini Trek is the suitable for those who are unwilling to go high altitude. Trekking up to the five thousand and above meter high from the sea level. 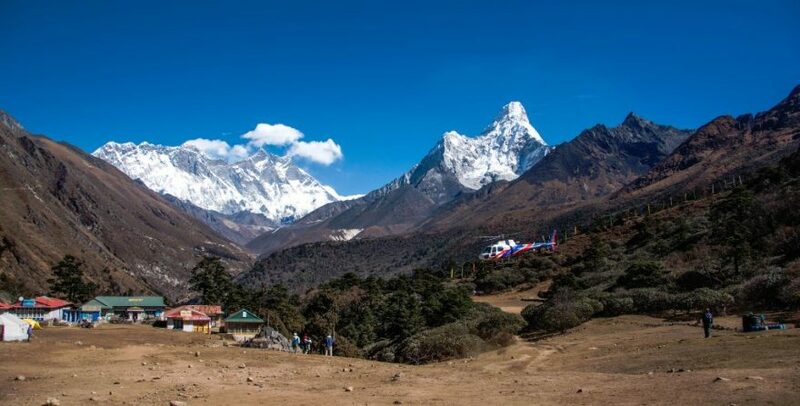 The view of the amazing Khumbu region and the Himalayan range can also be seen in this package of Everest region trekking in Nepal including the magnificent Mt. Everest. The journey will take you up to the Namche Bazaar the hub of Sherpa people of Nepal. We are glad to accommodate all trekkers of all ages for the glorious trekking in Khumbu region of Nepal via Everest Mini Trek. 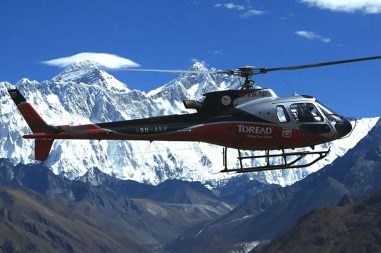 As usual in another trekking package of the Everest region like Everest View Trek, the trip starts with the marvelous flight to Lukla. The trails along the Dudhkoshi River passing by the places like Phakding, Monjo and finally reaches the Namche Bazaar. This is the mystical place up in the Himalaya. Then we will hike back to Namche after hiking the Khumjung Village. Next day we will return back to Lukla for the flight to Kathmandu. So, this leads you to the final day of the amazing journey. We beleive this will be one of the most amazing moments of your life. Hence, lets travel with us. Book now this amazing package with local experts. Know about the most favourable time to travel! There are essentially two trekking seasons for Everest Mini Trek. Spring from February to late May, and Autumn from September to the end of November. The summer months are very wet with the monsoon and winter is extremely cold. For a more detailed explanation about the weather in the Everest region and other factors. That you should consider before deciding when to trek see the Best time to hike in the Everest region. Everest Mini Trek is an easy trek suitable for passionate walkers who have the ability to walk for around 4-5 hours a day with a light day-pack. Exercising and jogging regularly for a few weeks prior to the trip is good idea to enhance strength and stability. Past hiking experience would be an asset but no technical skill is required for this trip. Participants with pre-existing medical conditions such as heart, lung, and blood diseases should inform Bharal Adventure before booking the trek. We also recommend that you consult your doctor(s) before the trip. The representatives from Bharal Adventure will pick up the guests from Tribhuvan International Airport in Kathmandu and drop them at their hotel for rest. An afternoon stroll and souvenir shopping around the streets of Thamel will be arranged. The guests will be served delicious Nepali cuisine as welcome dinner by Bharal Adventure. 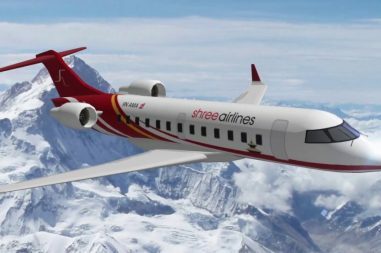 A 40 minute flight to Tenzing-Hillary Airport in Lukla will be taken from Kathmandu airport just after the breakfast. Meeting with other crew members and preparation for the trek will begin here. To assist in acclimatization, a short hike from Lukla to Phakding will be set. A side trip to nearby monastery could be organized if interested. A hike through the villages of Benkar, Chumoa, Monjo and Jorsale will start until the team disembarks the entrance of Sagarmatha National Park. 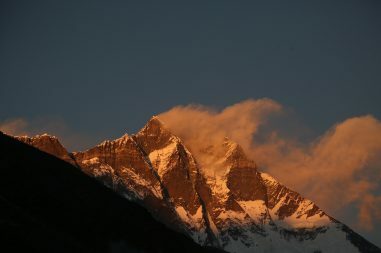 After passing the confluence of Dudh Koshi and Bhote Koshi Rivers, followed by a final steep ascent of about two hours, the team is rewarded with the first sight of Mt. Everest peering over the Lhotse-Nuptse ridge. It requires an hour and half hike from here to Namche Bazaar. This is a day for acclimatization that is spent either with a day’s hike to Syangboche Airport (3,700m), supposedly the highest airport in the world. From here, climb to Everest View Hotel will be taken from where we shall have panoramic views of Everest, Lhotse, Amadablam, Tawache, etc. A visit to Sherpa Culture Museum and Everest Photo Gallery will be made on our way back. The trekking while returning back will be equally captivating. Don’t just walk rather enjoy the views as it will look different than while ascending. The joyous morning flight will take you to Kathmandu. The farewell dinner will be organized in a typical Nepal cultural restaurant with traditional programs.